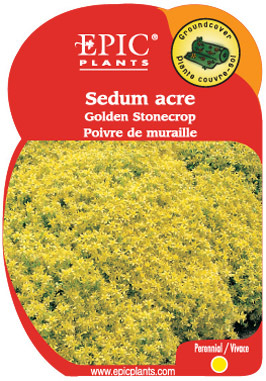 Mat-forming species with fleshy, light green foliage and bright golden-yellow flowers. Excellent between flagstone and in a stone wall. Aggressive.